The exterior features a Black front grille with sport mesh insert, and 18-inch machined-finish alloy wheels. 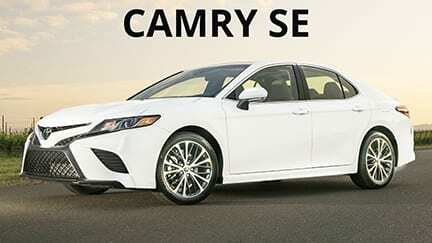 One of the many top-grade features that are standard on this Camry is that it comes with an Advanced Airbag System of ten airbags. There’s advanced dual-stage SRS driver and front passenger airbags, in addition to front and rear side curtain airbags. The Camry offers roominess and that’s Camry’s seats are placed lower, creating a generous interior space. The rear seats even feature the same dynamic and supportive design as the front seats.